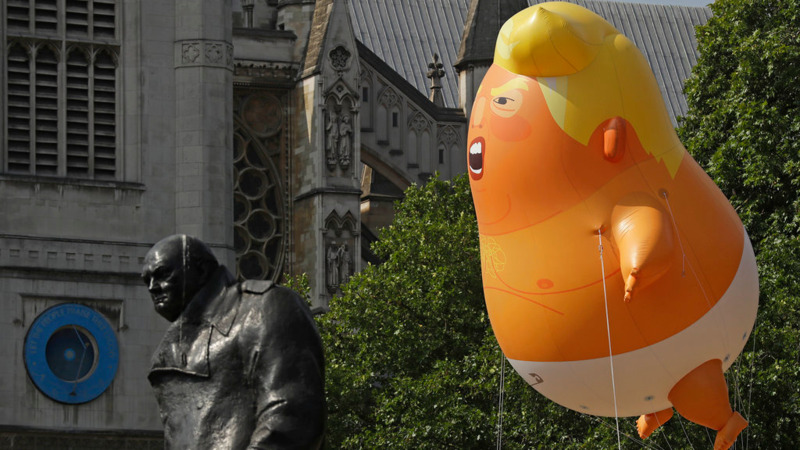 A giant balloon depicting U.S. President Donald Trump as a screaming orange baby flew over London Friday as tens of thousands marched through the streets to protest the American leader's visit to the U.K. The diaper-clad infant, with a quiff of hair and a mobile phone for tweeting, was the centrepiece of demonstrations protesting Trump's policies on issues ranging from immigration and race relations to women and climate change. 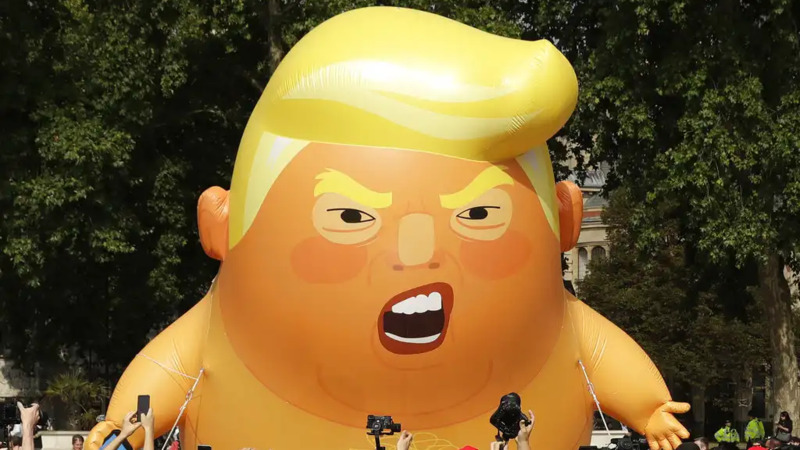 "Depicting Trump as a baby is a great way of targeting his fragile ego, and mocking him is our main motivation," said Matthew Bonner, one of the organisers. "He doesn't seem to be affected by the moral outrage that comes from his behaviour and his policies. You can't reason with him but you can ridicule him." Protest organisers say they plan to stage demonstrations in some 50 cities around the U.K.
"We hope that wherever Donald Trump goes, he hears and sees the strength of a British opinion that rejects not just him as a person and however distasteful he is as a person, but the policies and politics that he represents," said Asad Rehman, organiser of UK Protests Against Trump's Visit. Augustine Chukwuma Obodo, who wore a "Make America Great Again! hat and a Trump for president in 2020 shirt, said he wanted to make clear that not everyone found the protest amusing. 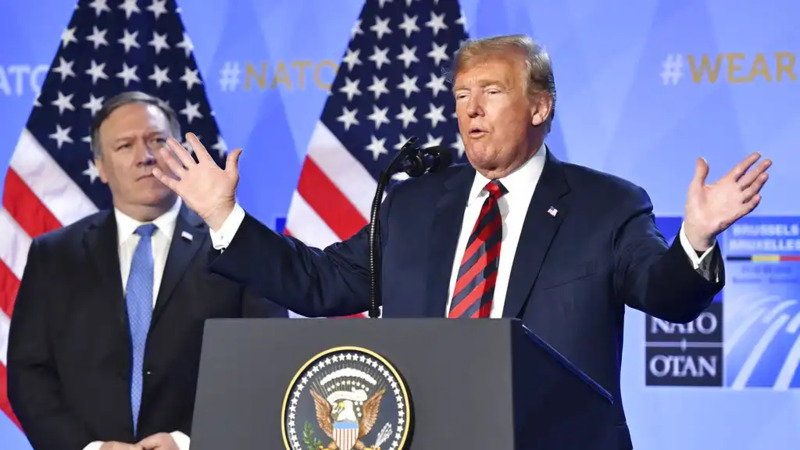 He said he wanted to add his voice to those who are quieter, but believe Trump is doing a good job on issues such as pushing NATO members to pay more. 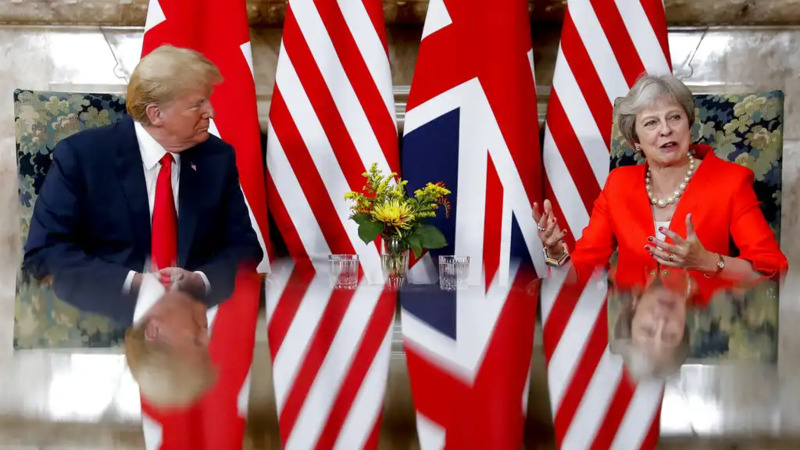 Trump, in an interview with Britain's Sun newspaper, criticised London Mayor Sadiq Khan, saying he had not been "hospitable" to the U.S. government. Khan refused to block the Trump baby balloon.